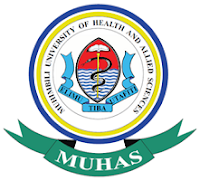 The Department of Bioethics and Health Professionalism (DBE), under the School of Public Health at MUHAS, aims to be a National, Regional and International Centre for excellence in the teaching, research and consultancy services in Bioethics. Through teaching, research and consultancy, the department collaborate with faculty from other Departments, Schools, Institutes and adjunct/visiting faculty to teach bioethics courses including Master of Bioethics (MBE), Bioethics for Postgraduates (EE 600) and Health Professionalism (PF 100 -300) program. The Department is responsible for the administration and coordination of all academic activities in Bioethics at the University level. Through funding from Forgarty International, Dartmouth-MUHAS Research Ethics Training Program (DMRET) supports the DBE by providing partial scholarships to excelling candidates for Two Years to undertake the Masters of Bioethics. The Program is hereby advertising for prospective students who wish to undertake the Masters of Bioethics Program for 2 years. Application is done through the usual MUHAS procedures for applying for postgraduate programs as below. All applications shall be processed and submitted online through a portal accessible on MUHAS website (https://www.muhas.ac.tz/). Applications submitted in hard copies shall not be processed. Application fee is Tshs 100,000/= for Tanzanian applicants and US$ 50 for foreign applicants paid to the University. This can be paid via Mobile Money (for local applicants, as per instructions on the application portal) or directly to MUHAS NBC Bank Account (for foreign applicants). 1. An up-to-date detailed curriculum vitae. 2. Copies of ordinary level secondary education, advanced level secondary education and undergraduate certificates and academic transcripts. 3. Internship certificate where relevant. 5. A letter from the employer showing readiness to release you for studies. 6. For foreign applicants; receipt of payment of application fee. Successful applicants shall be required to submit original copies of certificates and transcripts for verification at the time of admission.